Jessica and Belle Rykiss Bridal is a boutique that provides attire and accessories for graduates, brides, bridesmaids, mother of the groom and bride, and the attendants. For an ongoing 30 years, we believe in superior customer service and creating a shopping experience that is relaxed and pleasurable. We commit to attentively adopting each client's vision and unbiasedly keeping her best interest at heart. 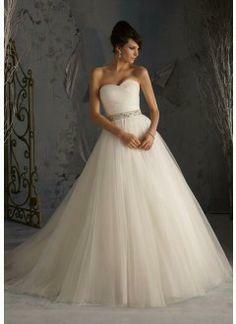 We provide unrivalled and diverse collections of high quality gowns. Our teams' ardent attention to detail and ambience has created the ideal salon for the romantic, contemporary, and discerning client. We invite you to share in the Jessica and Belle Rykiss experience. This was the fourth store I went to in search of my wedding dress and I was very pleased with the service and ended up finding my dress here as well. When I came to this store the 40-some dresses I had tried on at previous stores were starting to blur together and I was a bit overwhelmed but the lady that was helping me was very positive, honest and energetic which made trying on dresses, once again, an enjoyable and exciting experience. From start to finish it was an excellent experience. I was scared this experience of trying bridal gowns would be overwhelming when it was the complete opposite. We all had a blast and I ended up finding a beautiful gown that I never dreamed of for a reasonable price. I'll recommend this bridal salon to any friends and family in the future. After a stressful day of shopping for a grad dress- what a nice surprise to walk into a store with so much selection and the prices were very reasonable. Awesome staff- it was a great end to the day- and I love my dress. Thank You! Wonderful store! The staff there helped me find the perfect wedding dress and helped my mom find the most beautiful mother of the bride dress! Alterations went smoothly which was great since I bought my dress only 3 months before the wedding. The staff is awesome! They took such good care of me and my 5 bridesmaids. If you are a bride you must check this place out. No exchange, refunds, or cancelations. All sales final. Alterations are extra in charge. We collect personally identifiable information, like names, titles, addresses, email addresses, etc., when voluntarily submitted by our visitors. The information you provide is used to fulfill you specific request. This information is only used to fulfill your specific request, and for future newsletters focusing on the same subject as your request (ex. wedding dresses). We do not share our mailing list with anyone, ever. We have active Google Adwords campaigns collecting cookies from our web users. This information is used for conversion and remarketing purposes. Your personally identifiable information is kept secure, in PCI-compliant, secure, e-commerce certified servers.. Only authorized employees, agents and contractors (who have agreed to keep information secure and confidential) have access to this information.